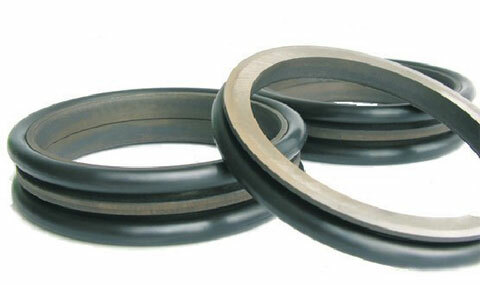 Manufactured with two identical metal friction rings mounted one on top of the other while the two rubber components centered the rings in their groove, Floating Seals effectively achieve uniform axial pressure between the seal and the housing. The sealing is achieved as the first metal ring remains static in its housing while the other ring rotates, ensuring to create friction in between two components in contact. Floating seal or face seal composed of two metal parts made from 100Cr6 bearing steel or Cast iron and two rubber O’Rings.